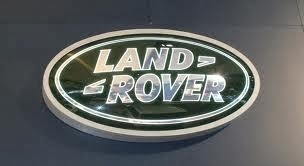 This Land Rover is a complete one off, if you are looking for a series Land Rover, do not miss this one. Price reduced, this Land rover is worth a lot more but need funds for other projects. First of all let me say I have owned and restored many Land Rover over the years but this is the best Restoration I have ever seen. The attention to detail and workmanship are exceptional. There are many Re builders these days but how many Land Rovers have a Hand Made Coach Built Body ! Fully Rebuilt on a heavy duty military chassis, every component new or reconditioned. Only the best materials used throughout. The rear is pretty much a blank canvas and can be customised to suit. The Engine has under 4000 Miles on it. The bodywork and panels are flawless not a single dent anywhere. Will drive at 65mph on the motorway easily. Stainless Steel custom front bumper with spotlights.